Buy this item and earn 1,625 points valued at £16.25. 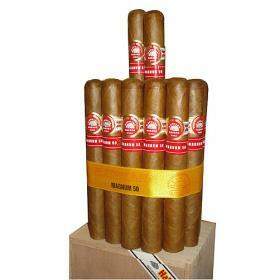 The H.Upmann No.2 Reserva has arrived! Originally scheduled for release in 2014, we can now enjoy these iconic Piramide shaped cigars from a much loved Habanos brand – H.Upmann. Measuring 6 1/8“ x 52 ring gauge, the H.Upmann No.2 is a classic “torpedo” and has been enjoyed in the UK and around the world for decades. 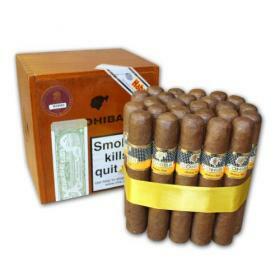 It’s longevity and popularity makes it a worthy choice to be honoured in a “Reserva” format . 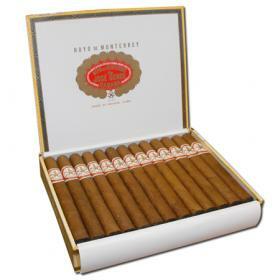 The cigars are only available in extremely limited numbers with just 5,000 numbered boxes containing 20 cigars produced for the global market. 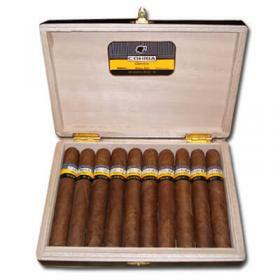 All of the tobacco used to produce these remarkable cigars was harvested in 2010. Then, once graded, air cured and fermented, have been allowed to age in bales for three years before being presented to the torcedor (cigar roller) to make the final masterpiece.